Apparently, Corbyn assumes that Jews only started immigrating to then-Palestine starting in 1945 -- as refugees from the Holocaust. Let's take a look at these and other contributions Jews made to the Palestinian infrastructure, leading to the re-establishment of Israel. ...While in Europe [collecting funding for the Jewish community in Israel] he published what may have been the first guide book for immigrants and tourists to the Holy Land. Titled Korot Ha’Itim (Happenings of the Times), the book documents the hardships incurred by Jews living in the Holy Land, particularly during the Safed riots and the earthquake . But it also contains useful advice and many positive remarks about the country despite the hazards and the difficulties that Menachem Mendel endured. The book was published in Vilna in 1839. A Yiddish translation was published in Warsaw in 1841, for those people not sufficiently fluent in Hebrew. ...As the bank's operations expanded, it opened two more branches in Damascus and Jaffa. ...Valero became a local hero because of his connections with the Ottoman rulers in Jerusalem and Istanbul and with the global figures who used the services of his bank. He was a noble figure on the local scene, which blossomed in the final days of the Ottoman Empire and received a number of the honors the disintegrating Ottoman government passed out to local dignitaries in regions distant from its center. On the other hand, there is Pinhas Rutenberg, who immigrated in 1919. Rutenberg founded the Palestine Electric Company, which later became the Israel Electric Corporation. In 1921 the British gave him the electricity concessions for both Jaffa and later, Jordan. 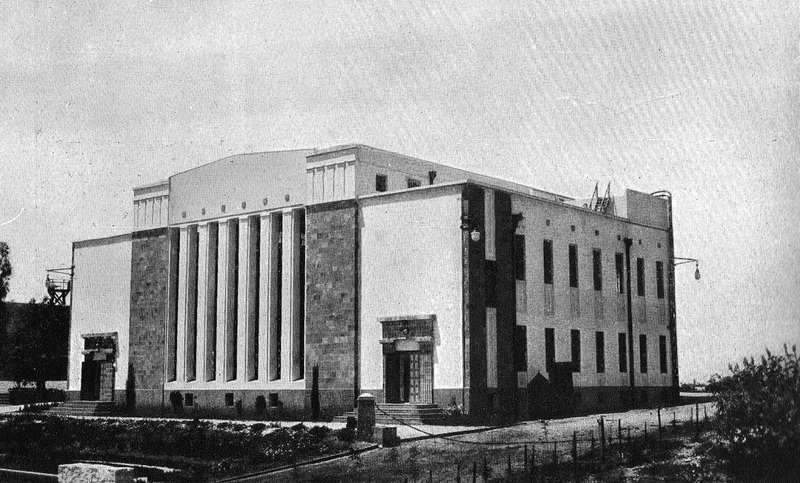 The Jaffa Electric Company, establish a grid in 1923 that eventually covered Jaffa, Tel-Aviv, the surrounding area and British military installations in Sarafend [located between Rishon LeZion and Be'er Ya'akov]. He received support from then-colonial secretary Winston Churchill. 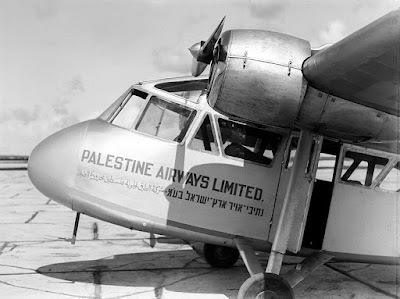 1937 The airline was taken over by Britain's Air Ministry in 1937 until 1940. with the intention of it eventually being transferred back into private hands. It operated from July 1937 until August 1940. Palestine Airways stopped operating then when its aircraft were taken over by the RAF for the war effort. While Rutenberg was granted the electricity concession, Moshe Novomeysky - with difficulty - got permission from the British to mine in the Dead Sea area. He immigrated to Israel in 1920 and developed the Palestine Potash Company, which became the Dead Sea Works. Novomeysky made a point of developing good relations with the Arabs in the area. Because of his reputation, kibbutzim he helped established were spared from the anti-Jewish riots of 1936-39. "There was a primitive oven, to which the whole neighborhood would come to leave their pots of hamin [a slow-cooked dish for the Sabbath, know by Ashkenazim as cholent], and then argue about which pot was whose," recalled Vicky Angel, Danny's widow, as she reminisced about the first days of the Angel Bakery. The Institute for Palestine Studies has an article on Radio Jerusalem which started in 1936, "only two years after the founding of the first official Arab radio station in Cairo (mid-1934) and one year before the death of the renowned Italian physicist Marconi (1937)." It was established by the British Mandate authorities and broadcast in Arab, Hebrew and English. But 4 years earlier, in 1932, the British had given a license to Mendel Abramovitch. His broadcast became known as Radio Tel Aviv and continued until April 1935, when the British revoked his license in order to prepare for the Palestine Broadcasting Service. Into this background, the Rothschild Hospital was founded in 1854 in the Jewish Quarter of the Old City. When there were too many patients for the hospital to handle, a new hospital with more beds was built outside the Old City. The hospital was directed by Dr. Bernhard Neumann, a native of Warsaw who had studied in Cracow and Vienna. He had been in Jerusalem since 1847. It offered free treatment to all patients regardless of religion or nationality, and in 1918 it was taken over by Hadassah and became Israel's first Hadassah Hospital. 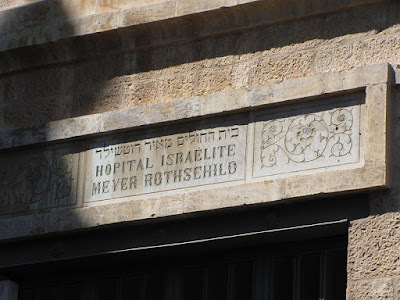 The Rothschild Hospital was followed by two others in Jerusalem, Bikur Holim and Misgav Ladach. Another Rothschild-funded hospital was later set up in Zichron Yaakov for the farmers and laborers in the area. The person most responsible for the establishment of the Jaffa-Jerusalem railway was Yosef Navon, a Jewish entrepreneur from Jerusalem. He spent three years in Constantinople to promote the project and in 1888 received a permit from the Ottoman Empire, which included permission to extend the line to Gaza and Nablus. Because he did not have enough capital to move the project forward, Navon went to Europe in 1889 to find a buyer for the concession, and finally found one - in France. A French company, with Navon as a member of its board of directors, built the railway. 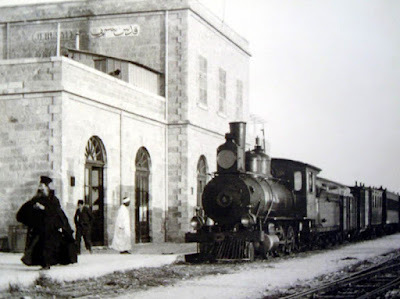 It started running in 1892 and is considered the first Middle Eastern railway.